As you can see 1/3 of respondents found them very relevant, while most of the rest found them somewhat relevant. Seems we are doing a decent job when it comes to search but clearly we could be doing better. From the responses to some of the other questions and written feedback we have identified at least two specific areas we need to work on. For another question we showed this image of like courses grouped under a CourseBuffet Title. It turns out a lot of respondents are a bit confused on what CourseBuffet Titles are. They are not actual names of specific courses as more than half of respondents indicated. They are generic titles for grouping like courses under. The titles along with the number and classification level are supposed to approximate what a course/s would be at a US University. You can read more about CourseBuffet Title and Classification in this blog post. This classification is the backbone of our CourseBuffet Degree Path. If so many of you are confused about CB Titles and Classsification then clearly we need to be better at explaining and visually displaying them. We asked about course start dates. Over 60% of respondents said having start dates for courses is very important. While we listed dates for some courses, we don’t currently have a way for you to filter results to show which courses are starting in the next 30 days. Part of the problem is course providers don’t always provide complete information. This also makes it more problematic to figure out which courses listed on their site are always available and which are listed but not actually available. We are working on solving date related issues. A number of respondents had specific things that annoyed them or requested new features. Some mentioned expanding the number of courses we list. We are slower to add new courses as we examine each one in order to classify them and thus make our search results very relevant and group like courses. We are working on streamlining the classification process and we will be addressing this and more of your feedback soon in upcoming posts. 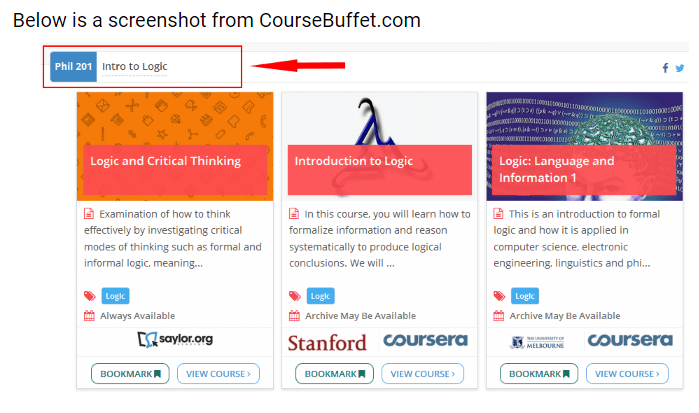 We thank everyone who left their feedback (again you can still leave some here), We are working to make sure CourseBuffet is the best place find courses and create learning paths.